Blog | Felt: Isn't that the stuff on Pool Tables? But isn’t Felt that stuff on Pool Tables? Well, yes, it is! However it is a different make up of felt that they use on pool tables! Some can be made from natural fibers or synthetic fibers. Those are just naming the most common ones, and those that I am most aware about. Under those categories you can then go into subcategories such as wool blend felt, where the ratio of wool can again vary between brand and its mixed with another fibers of another material, e.g. 80% wool:20%viscose. On top of that again, you can also get various thicknesses! The felt that I use for our flowers, is a wool blend. There is a particular feel and flexibility that I personally like about wool blend, which makes it easy to work with. I have trialed other types before such as acrylic felt (usually a cheaper option), which is made from synthetic fibers, but a lot of it was horrible and stiffer, with little flexibility. Wool Felt is a non-woven textile. There is no thread or weaving involved in production. and mattes together tightly.This forms what is referred to as wool felt. but with a combination of wool fibers and those from another material. Close up of worsted cloth. 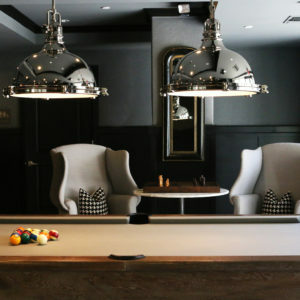 The most common type of pool table felt is called woolen cloth. It is usually thick and heavy. It is made up of at least 60% wool, and has that familiar “felt” feel when you touch it. You will usually see this type of cloth on home pool tables, or the coin operated pool tables at bars etc. that I don’t use the exact same stuff that you see on pool tables. Well not quite the same! I do also have to mention that wool felt, is not to be confused with felted wool. Which is a whole different kettle of fish, that I’m definitely no expert in, but there are a few blogs out there that explain it a heck of a lot better than I ever could such as this one by American Felt & Craft. This entry was posted in Felt, March 2017 and tagged blog, felt, march. wool blend. Ahhh, great insight! I did know there was a difference between acrylic and real wool felt (and even my untrained fingers can feel the difference) but I didn’t realise there was such a difference between the felt you use and the pool table stuff.